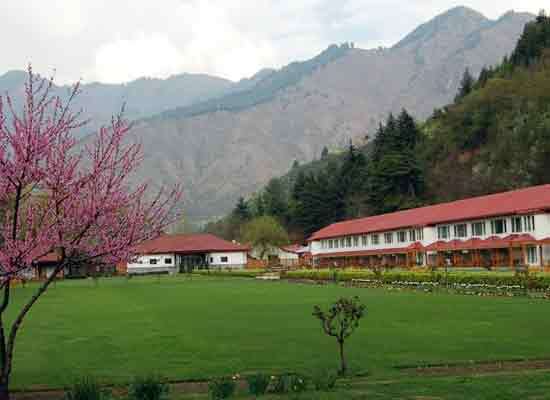 "Overlooking the placid waters of Dal Lake, The Lalit Grand Palace lies amid the lap of the mighty snow-clad Himalayas. One of the best luxury heritage hotels of Srinagar, this property is the former residence of the Maharajas of the region and has now tastefully been turned into a heritage hotel. The hotel has 113 well-equipped spacious guest rooms, suites and cottages, boasting of a wonderful decor. Guests can have an unforgettable stay while indulging in world-class modern comforts. The hotel features facilities and amenities such as all-weather swimming pool, gymnasium, Rejuve-the Spa, well-equipped banquet and conference spaces, restaurants, bars and more. 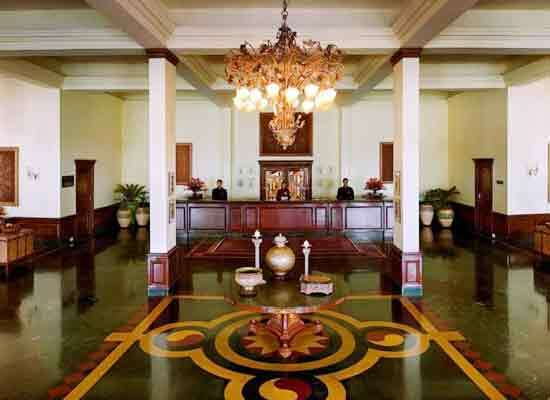 The hotel offers impeccable hospitality services to leisure as well as business guests. Also known as Gulab Bhavan, The Lalit Grand Palace Srinagar is originally the royal residence of the royal people of Kashmir during the beginning of the 20th century. Constructed in 1910 by Maharaja Pratap Singh, the property was decorated with fine upholstery, handicrafts by local artisans, furniture and special Kashmiri carpets by Maharaja Hari Singh, his nephew. The palace has also hosted several parties in its lawns and central courtyard, and VIP guests and dignitaries. Lord Mountbatten and Gandhiji are two of such special guests. Soon after independence, Maharaja Hari Singh came to Mumbai. In 1956, Gulab Bhavan then became The Grand Palace, the only five-star hotel of Srinagar. With a living space of 224 / 470 square feet, Deluxe / Super Deluxe rooms are perfect for a family of four (2 adults and 2 children). Offering a soothing view of the lush garden or the Dal Lake, these rooms feature handpicked furnishings, and wooden flooring. The attached bathroom is plush and has a huge wardrobe, complimentary amenities and shower cubicle. Some of the other facilities include writing desk, mini-bar, 40-inch Plasma TV with DVD player, Wi-fi and LAN connection, tea/coffee maker, iron board and hair dryer (on request), twice-daily housekeeping and more. Ideal for a family of four, Deluxe Palace Suite spreads in an area of 400-900 square feet, and boats of a regal charm with opulent upholstery, parquet flooring and antique art pieces. This suite comprises of a writing desk, a posh bathroom with an attached bathroom, a guest powder room, and a living room with sitting area. Guests can have a memorable stay amid world-class comforts such as mini-bar, electronic safe, high-speed internet, tea/coffee maker, 4-inch plasma TV, Direct dial telephone with international calling, tea/coffee maker, housekeeping services, cubicle shower / bathtub and a huge wardrobe. 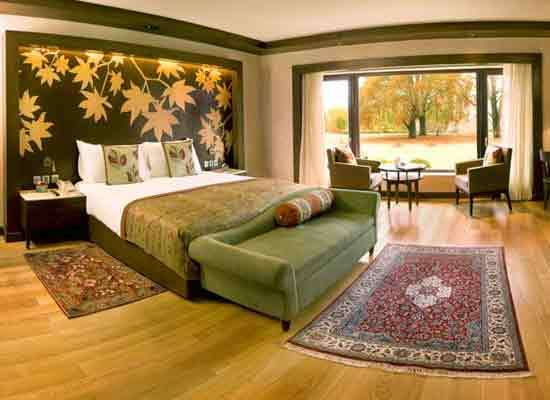 Offering the view of the Dal Lake/ the lush garden, Premium Palace Suites are spread in an area of 400-900 square feet. Having an elegant décor, these suites feature in top line Imperial suites that are absolutely regal. Ideal for 2 adults and 2 children, these suites have a living area with a dining table, and a master bedroom with a plush bathroom. These rooms come with a number of modern comforts such as a writing deck, electronic safe, tea/coffee maker, DVD player, 40-inch Plasma TV, mini-bar, housekeeping service two times in a day, high-speed Wi-fi and LAN connection, telephone with direct international calling, hair dryer and ironing board on request, a large wardrobe and so on. Spread over a huge area of 1275 square feet, featuring ceiling with special Khatambandh form of art, one bedroom cottage has warm Kashmiri interiors. A wonderful getaway amid lush snow-capped mountain, the cottage comes with a living room that has a dining table and a sofa a bedroom with an attached bathroom, a powder room, and a loaded kitchenette with a gas stove, microwave and a refrigerator. Butler on-call electronic safe, writing desk, huge wardrobe, shower cubicle, tea/coffee maker, cookies with fruit platter, LAN and Wi-fi internet, hair dryer on request, in-room movies are some of the contemporary conveniences offered here. Spread over an area of 1936 square feet, Deluxe Palace Cottages has special Khatambandh ceiling, combined with authentic Kashmiri décor and verdant surroundings. A powder room, a living room with dining table and sofa, 2 bedrooms with attached bathrooms that have shower cubicle or bathtub and complementary toiletries, and a kitchen that features a microwave, a fridge, and a gas stove. Luxurious amenities and facilities like butler on call, writing desk, LAN and Wi-fi connection, 40-inch Plasma TV with DVD player, mini bar, electronic safe, hair dryer, tea/coffee maker, cookies and fruit platter etc. A living room with a dining table and a sofa, a fully-loaded kitchen with a gas stove, a microwave, and a fridge, 2 bedrooms with attached bathrooms and a powder room are a part of Premium Palace Cottage. Covering an area of 1936 square feet, this cottage overlooks the hotel’s gardens and has an elegant Kashmiri décor. The pristine view of the Dal Lake is refreshing. The luxury cottage has all the comforts necessary for a pleasant stay. It includes cookies and fruit platter, mini-bar, DVD player, Wi-fi and LAN internet, 40 inch Plasma TV, electronic safe, large wardrobe, complimentary toiletries, ironing boards and so on. Overlooking the Dal Lake or the well-maintained gardens and with 1200 square feet of living space, Maharani suite is an oasis of luxury with 40-inch Plasma TV with DVD player, electronic safety, housekeeping services two times a day, mini-bar, iron board, hair dryer, writing desk, high-speed internet, huge wardrobe, cubicle shower, bath tub and so on. This suite boasts of a regal feel and comes with delicate stonework, original Deodar wood, silk Kashmiri carpets, Venetian mirrors, and huge windows with valences. This beautifully appointed suite consists of a living room with sofas and couches, a dining area, a luxurious bathroom, a guest powder room, and a bedroom with four-poster bed. Indulge in the luxuries of the Maharaja Suite that spreads in a huge area of 2000 square feet, and offers breathtaking views of the placid Dal Lake and the well-maintained gardens. The interiors of this suite are stunning and have exotic artwork, beautiful silk Kashmiri carpets, wooden flooring, original Deodar wood, and huge windows with sheer curtains and valences, and Venetian mirrors. 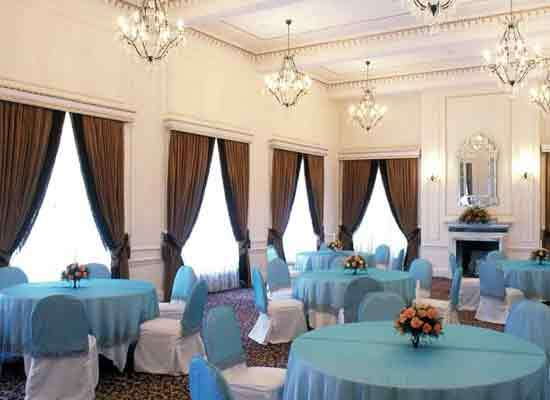 Guests of this room have an access to the well-stocked library of the hotel, originally used by the Maharaja. The suite has 2 extra-large bedrooms, guest powder room, personal library, and living room with dining table and couch. Enjoy a pleasant stay amid world-class comforts such as butler service, complimentary cookies and fruits, mini-bar, in-room interactive entertainment system with iPod docking system, 40 inch plasma TV and DVD player in living room and both the bedrooms, electronic safety deposit, high-speed internet and more. A multi-cuisine restaurant the Chinar has à la carte as well as buffet options. Overlooking the buffet area, this restaurant offers a traditional Indian dining experience while keeping its focus on authentic Kashmiri aromas, and ingredients. Honoring the iconic Chinar tree of Kashmir, the restaurant is named so and also the tabletops has colored Chinar leaves made from tiles. Another multi-cuisine dining venue, the Chinar Garden lies safe below the canopy of the tall Chinar trees. Treat your eyes to the wonderful views of Srinagar valley and Dal Lake while sipping on hot Kahwa. Savor lip-smacking delicacies prepared by the expert chefs. 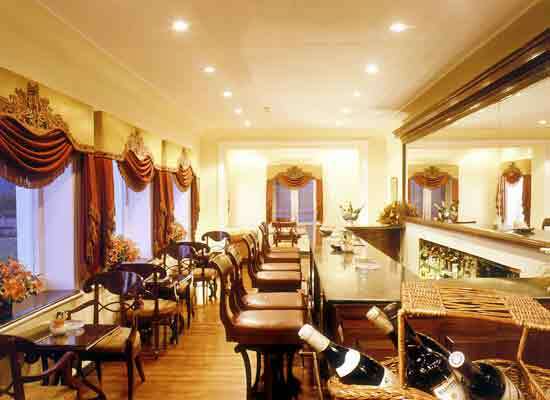 A well-stocked bar, Dal Bar has an elegant décor with stone finish and timber bar counter. Sip your favorite drink and relish wonderful views of the property’s well-maintained lawns, and Dal Lake. 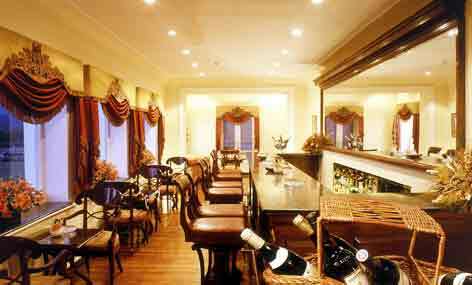 The extensive menu includes of best of wines, malts, liqueurs, and finger foods from all across the globe. There is also a fine collection of cigars. The largest city as well as the summer capital of the Jammu and Kashmir state, Srinagar is placed on the banks of River Jhelum. It is one of the most-visited destinations of India. The place is dotted with a number of attractions that are worth-visiting. Some of such attractions are Dal Lake, Jamia Mosque, Mughal Gardens, Chashme Shahi, Nishat Bagh, and Shankaracharya temple amongst others.